General TV Channel / Radio and Television of Slovakia or RTVS is a state-owned nationwide public broadcasting organization in Slovakia. It is headquartered in Bratislava and led by Jaroslav Rezník. The organization was created in 2011 following a merger of Slovenská televízia (Slovak Television) with Slovenský rozhlas (Slovak Radio). Funding for the combined organization is obtained through advertising, government payments, and a monthly fee levied on most individuals registered with electricity retailers and most businesses containing three or more employees. 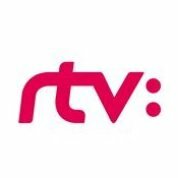 Like its two predecessor organizations, RTVS is a full member of the European Broadcasting Union.